Carl Michael (Mike) Herrmann of Scottsdale, 84, passed away early Sunday morning, Sep. 02, 2018. Mike was born January 18th, 1934 in Elgin, IL. The first born of Carl and Pearl Herrmann. Mike grew up outside of Burlington, IL working on the family farm until his dad retired and moved the family to Hampshire. He served proudly in the US Marine Corps from 1953 – 1956 and received an honorable discharge. Mike was married to Jean (Schuchard) from 1959 – 2007. Mike earned his Bachelors of Science degree in Accounting from Northern Illinois University with a minor in Finance. He worked for Playskool as an accountant for several years. He later went on to become a Certified Public Accountant and purchased a small accounting practice in northern Wisconsin where he moved his family to in 1976. He and Jean ran the small business along with a summer resort for many years until he retired in 1998. He was a member of the Lions Club in St. Germain and sat on the board of directors in the planning of the town golf course. Mike moved to Arizona in 2008. 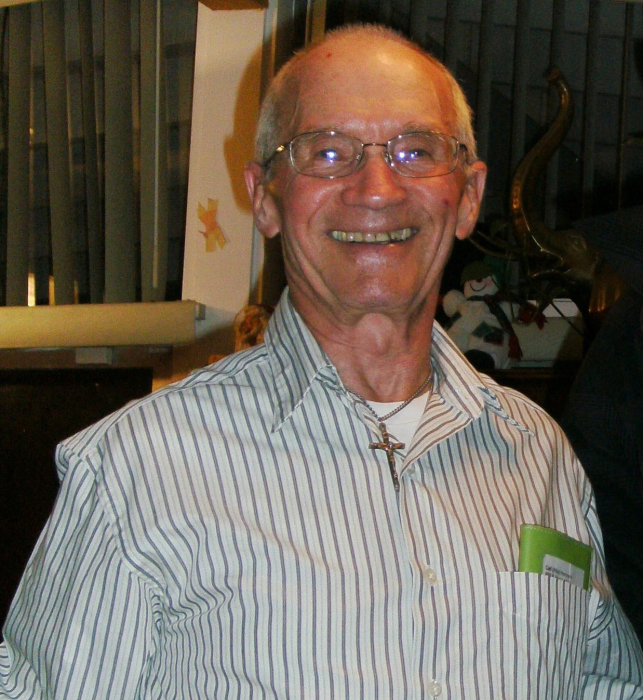 He was a member of St. Charles Borromeo church in Hampshire, Illinois until 1976 and later Our Lady of Perpetual Help church in Scottsdale, Arizona where he volunteered with St. Vincent de Paul. Surviving are his 5 children; Michael (Tamera), Vincent (Cecilia), Theresa (Dan) Patterson, Angela (James) Fry, Bradley (Cherry) and Matthew (Jeannie); 3 brothers, Patrick, Richard and Mark “Butch”; 3 sisters, Marlene, Josephine and Dolly; grandchildren; Jason, Nancy, Christopher, Justin, Greg, Angelica, Joshua, Hannah, Emily, Kyra, Marilyn, Jacob, Lucas, Noah, James, Rosean, Regan, Ashley and Matthew “Gunner”; great-grandchildren; Jakob, Natalie and Ryder. He was preceded in death by his parents, Carl and Pearl, a brother, Bernard “Bunny” and grandson, Alex Malek. Funeral Services will be held on Wednesday, September 12th, 2018 at 10:30am at St Charles Borromeo Catholic Church, 297 E. Jefferson St., Hampshire. Burial with military honors will be in the St. Charles Borromeo Cemetery. Visitation will be held on Tuesday, September 11th, 2018 from 4pm-7pm at Fredericks Funeral Home, 284 Park St. Hampshire. In lieu of flowers, memorial contributions in his name may be directed to: St Vincent de Paul, c/o Our Lady of Perpetual Help Church, 7655 E Main, Scottsdale, AZ 85251. Arrangements entrusted to Messinger Indian School Mortuary.